AAA has unveiled 118 hotels that have earned the AAA/CAA Five Diamond Rating in the past 12 months, qualifying them for the 2016 Five Diamond Award®list. This exclusive group represents just 0.4 percent of the nearly 28,000 AAA/CAA Approved and Diamond Rated hotels. Following rigorous evaluations from AAA’s professional inspectors, the following six hotels were added as first-time Five Diamond honorees. AAA Inspector Notes: This chic hotel, exclusively for adults, offers the ultimate in contemporary design in its rooms and public areas. Distinctive personal attention includes a mid-day “siesta” hammock service. Using an iPad to control the electric curtains, guests enjoy stunning hilltop views that offer both jungle and seaside vistas. Exclusive amenities include a rooftop pool, world-class spa and a gym with yoga room and resident DJ. AAA Inspector Notes: An ultra-refined, modernist style greets guests at this gleaming glass jewel in the center of Midtown. The spacious rooms feature a custom designed beverage center and a media hub integrated with curated art and designer furnishings, complemented by fine linens, aromatic scents and an oversized soaking tub. Facilities include an indoor pool and state-of-the-art 1,845-square-foot fitness center. This pet-friendly property donates all pet fees to animal charities. AAA Inspector Notes: Located on a ski run with true slope-side ski-in/ski-out access, the guest experience begins with a peaceful funicular tram ride up the mountain, offering stunning picture-postcard views. The luxurious lobby, split-level infinity pool and convenient ski beach for downhill rest breaks invite total relaxation. The rooms, baths and one- to four-bedroom condominiums are luxuriously appointed. Refreshments include a daily afternoon iced tea social, nightly s’mores for the kids and a dramatic evening Champagne sabering for adults by the fire pits. 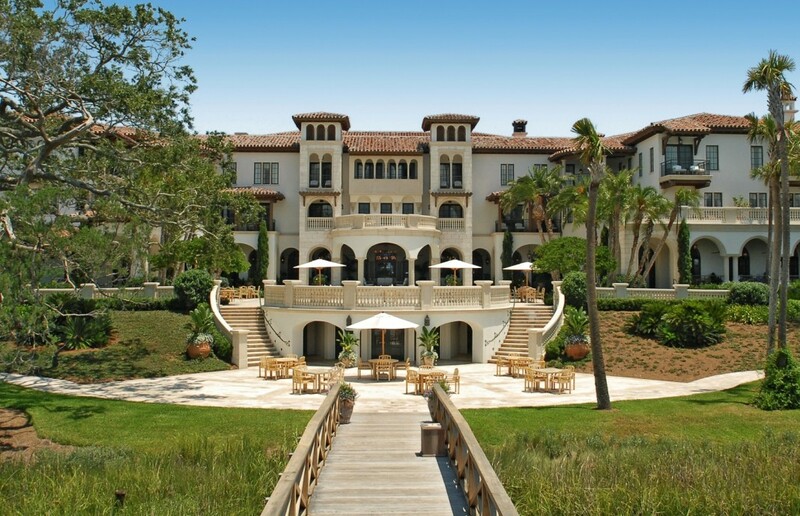 AAA Inspector Notes: This exclusive luxury resort features five miles of private beach, championship sports and recreation, lush gardens and a seaside spa. Rooms are large, luxurious and uniquely designed. Relax in an overstuffed chair and treat your feet to the caress of handmade Turkish rugs after a full day of boating, tennis, squash or your favorite beach activity. AAA Inspector Notes: Nestled into the Tortolita Mountains, this elegant resort features rooms with expansive views and luxurious baths as well as world-class golf facilities. Influenced by the traditions of the Sonoran desert, the spa features ancient curative rituals and eco-holistic therapies, a treat for guests who wish to be pampered. Enjoy an indoor-outdoor fitness center, complete with a private fireplace and courtyard, and mountain-view serenity pool terrace surrounded by ancient Native American carvings in nearby rocks. AAA Inspector Notes: Set in the heart of the city’s financial district, this stunning showpiece soars high in the sky. Floor-to-ceiling windows offer guests remarkable city views. Luxury is standard as each room features Bellino fine linens with an extensive pillow menu, a European-style wet bar with a Nespresso machine and a stone-finished bathroom with a deep soaking tub, rain shower and in-mirror TV. Business features include personalized stationery, business cards, and an in-room fax machine and computer, on request. Of note among the new additions to the list are three properties that are the only Five Diamond hotels in exclusive destination areas: Marana, Ariz.; Sea Island, Ga. and Puerto Vallarta, Mexico. New York City and Toronto continue to add ultra-luxury accommodations, gaining their ninth and fourth Five Diamond hotels, respectively. Additionally, The Broadmoor in Colorado Springs, Colo., remains the only hotel that has maintained the Five Diamond Rating for 40 consecutive years – since 1976 when AAA first introduced the Diamond Ratings for accommodations. “Attaining the Five Diamond Rating is an impressive accomplishment and a point of great pride for these top hotels,” said Petrone. “Five Diamond establishments stand apart by redefining personalized service, using creativity to enhance guest comfort and providing memorable experiences.” Candidates for the rating undergo multiple unannounced evaluations and a final decision by a panel of experts. Using guidelines weighted by member priorities, inspectors meticulously evaluate guest services and physical attributes to assess the level of competence, refinement and hospitality and assign a corresponding rating of One to Five Diamonds. For more information about Diamond Ratings and the complete lists of Four and Five Diamond hotels, visit AAA.com/Diamonds.